Stock futures turn mixed on Thursday; Tesla tumbles following a wacky conference call from CEO Elon Musk. U.S. stock futures pointed to a mixed start for Wall Street on Thursday, May 3, after equities slumped following the Federal Reserve's hawkish tone on interest rates. Contracts tied to the Dow Jones Industrial Average fell 2 points, those linked to the broader S&P 500 gained 0.50 points, and Nasdaq futures were down 1.50 points. The Fed held steady on interest rates but said Wednesday, May 2, that it expects "further gradual increases" as inflation edges toward the central bank's annual rate of inflation of 2%. "The committee expects that economic conditions will evolve in a manner that will warrant further gradual increases in the federal funds rate," the Fed said in a statement. "Inflation on a 12-month basis is expected to run near the committee's symmetric 2% objective over the medium term." Stocks ended Wednesday's session to the downside, with the Dow tumbling 174 points, or 0.72%, to 23,924. On Thursday, the U.S. economic calendar includes weekly Jobless Claims at 8:30 a.m. ET, and International Trade for March at 8:30 a.m.
Tesla Inc. (TSLA fell 5.3% in premarket trading on Thursday after founder and CEO Elon Musk urged investors to "sell our stock and don't buy it" during a conference call following the release of the electric carmaker's first-quarter results. Tesla posted an adjusted loss of $3.35 a share on Wednesday, which was narrower than the loss of $3.58 forecast by analysts. 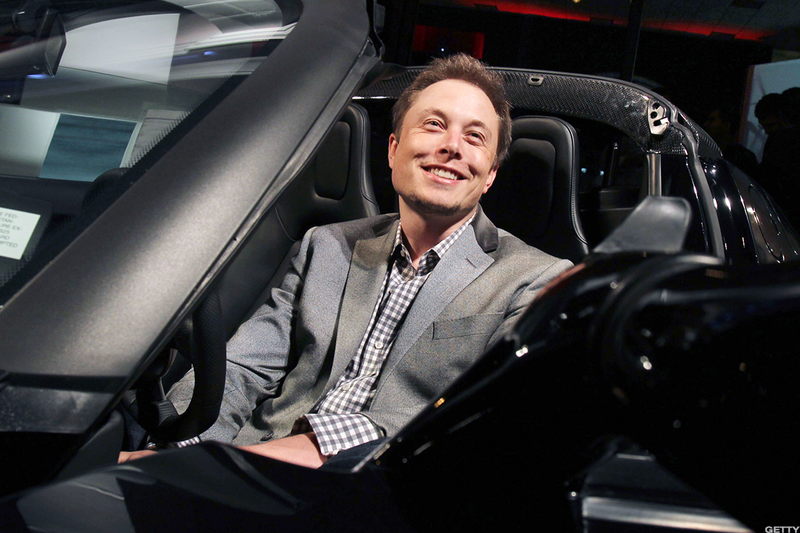 Tesla's quarterly loss of $709.6 million was its biggest ever. Revenue of $3.41 billion also topping Wall Street forecasts. Musk's comments on the conference call, however, during which he insisted he was "not here to convince you to buy our stock," hammered Tesla in after-hours trading on Wednesday and clipped more than $2 billion from its market value. "Really, the problem is like people get too focused on like what's happening in the space of a few weeks or a few months," Musk said during a tense call with analysts. "This is - maximum of investing should not be focused on short-term things. You should be focused on long-term things." "We have no interest in satisfying the desires of day traders, like we couldn't care less," he insisted. "Please sell our stock and don't buy it." Musk also indicated during the call that production of Tesla's Model Y crossover won't start for another 24 months or so, and that when it does it won't take place at Tesla's existing plant in Fremont, Calif., which Musk called "packed to the gills." A report last month from Reuters, which Musk declared to be "based on nothing," stated that Tesla has indicated to suppliers that Model Y production will start at Fremont in November 2019. Musk's remarks on Wednesday, which also included a disclosure that Tesla's decision on where the Model Y will be produced won't happen until later this year, suggested a production ramp won't start at least until the spring of 2020. DowDuPont Inc. (DWDP reported first-quarter adjusted earnings of $1.12 a share, 2 cents ahead of estimates. Revenue of $21.51 billion topped forecasts of $21.42 billion. The stock was down slightly in premarket trading. Earnings reports are also expected Thursday from Activision Blizzard Inc. (ATVI , CBS Corp. (CBS , Cigna Corp. (CI , Kellogg Co. (K , GoPro Inc. (GPRO , Pandora Media Inc. (P , Shake Shack Inc. (SHAK , Weight Watchers International Inc. (WTW and Xerox Corp. (XRX . DowDuPont is a holding in Jim Cramer's Action Alerts PLUS Charitable Trust Portfolio. Want to be alerted before Cramer buys or sells the stock? Learn more now. Spotify Technology S.A. (SPOT was tumbling 8.8% in premarket trading Thursday after its first quarterly earnings as a public company missed analysts' expectations. Spotify reported revenue of €1.14 billion ($1.37 billion), missing analysts' estimates of $1.39 billion, and a loss of €1.01 a share, wider than forecasts that called for a loss of 39 cents. The streaming music company reported 170 million monthly active users, including 75 million premium subscribers and 99 million ad-supported monthly active users, compared with a consensus estimate of 98 million ad-supported monthly active users. During a conference call Wednesday, co-founder and CEO Daniel Ek said he doesn't see Apple Inc.'s (AAPL growing music subscription service, Apple Music, providing any "meaningful impact of competition. "We don't see this as a winner-takes-all market," Ek said, adding that he envisions Spotify and Apple Music both having their own respective places in the growing streaming music market. Xiaomi Corp., a Chinese smartphone maker, filed documents Thursday indicating it plans to launch what could be the world's biggest share sale in years in Hong Kong. Beijing-based Xiaomi is the world's fourth-biggest smartphone maker by shipment volume, according to International Data Corp. The filing provided no financial details about the share sale or the company's valuation. But the South China Morning Post, citing unnamed banking sources, said Xiaomi plans to raise up to $10 billion in a deal that would value the company at $100 billion, making it the biggest IPO since Alibaba Group Holding Ltd.'s (BABA $21.8 billion IPO in 2014 on the New York Stock Exchange.